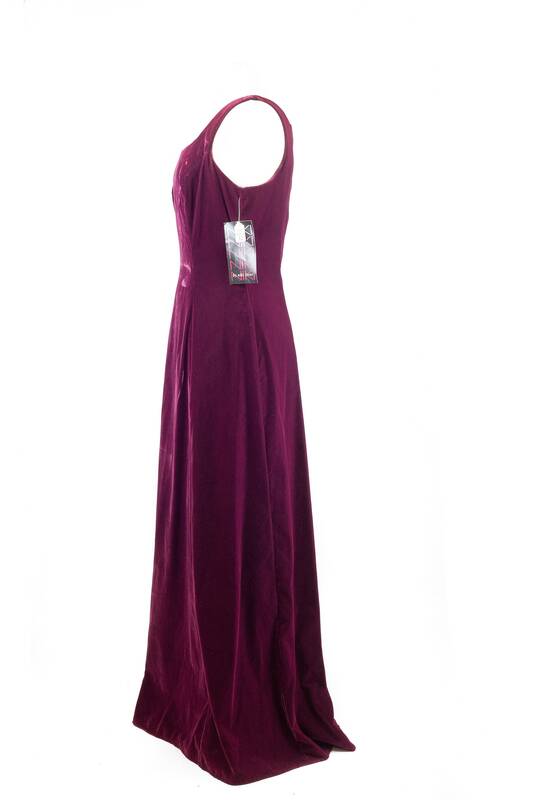 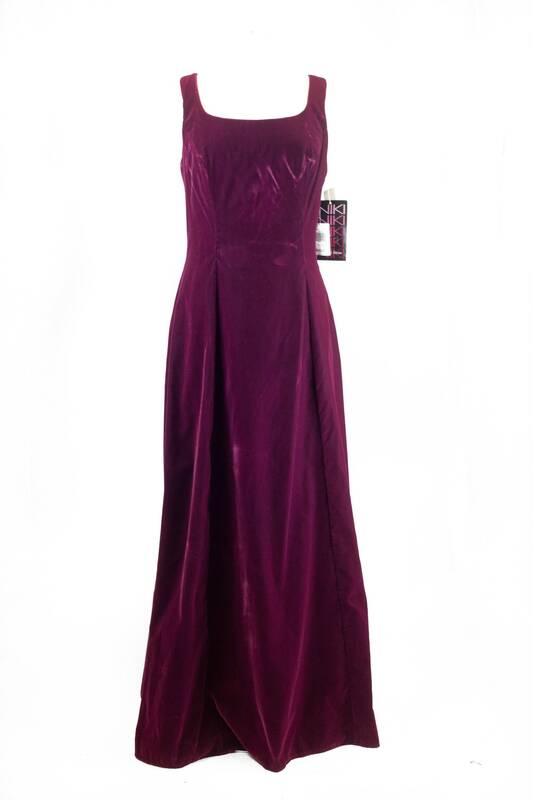 Gorg 90s sleeveless scoop neck velvet gown/prom dress in burgundy. 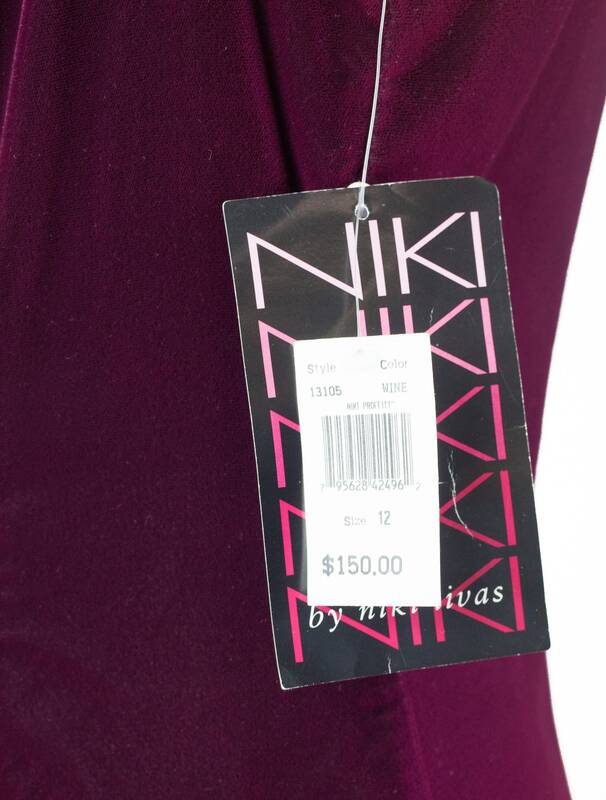 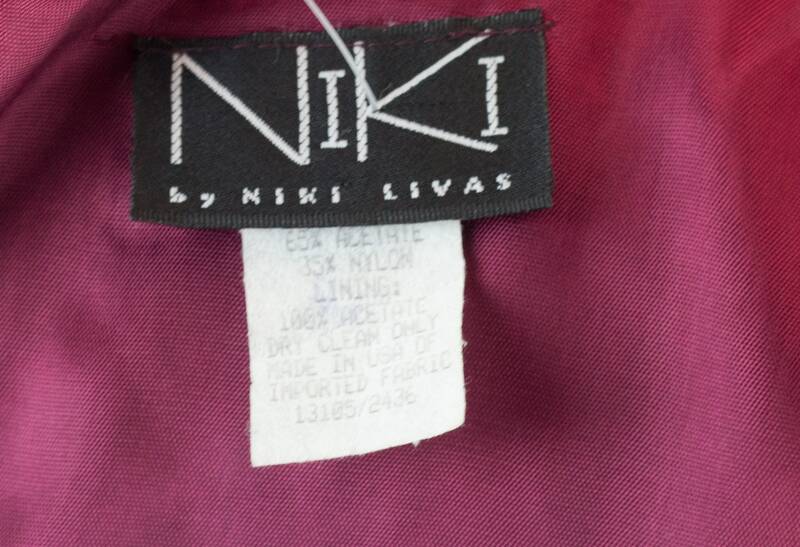 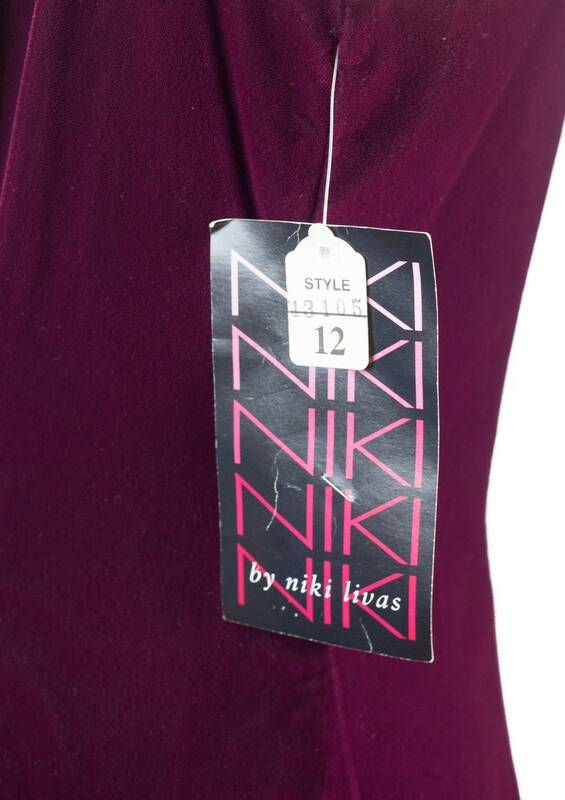 Item is in like new vintage condition with original tags ($150) still attached. 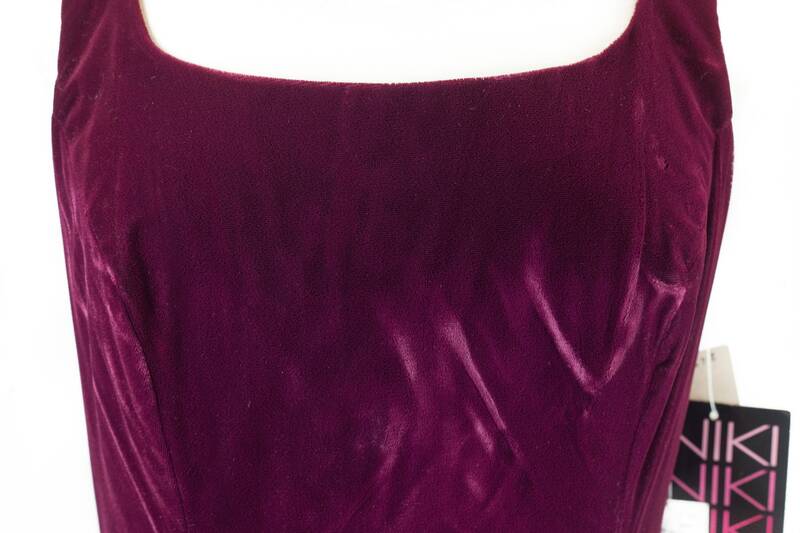 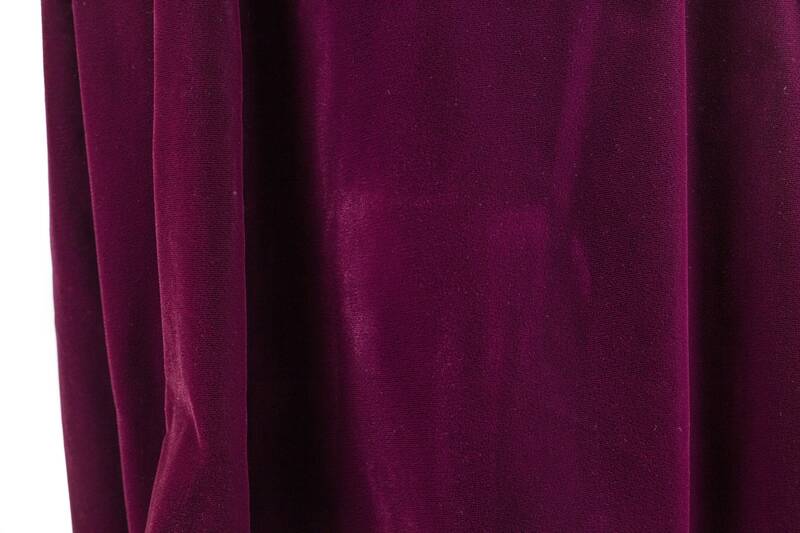 The front have two places that look as if they were steamed so the velvet lays differently, but IMO it is not noticeably a flaw. 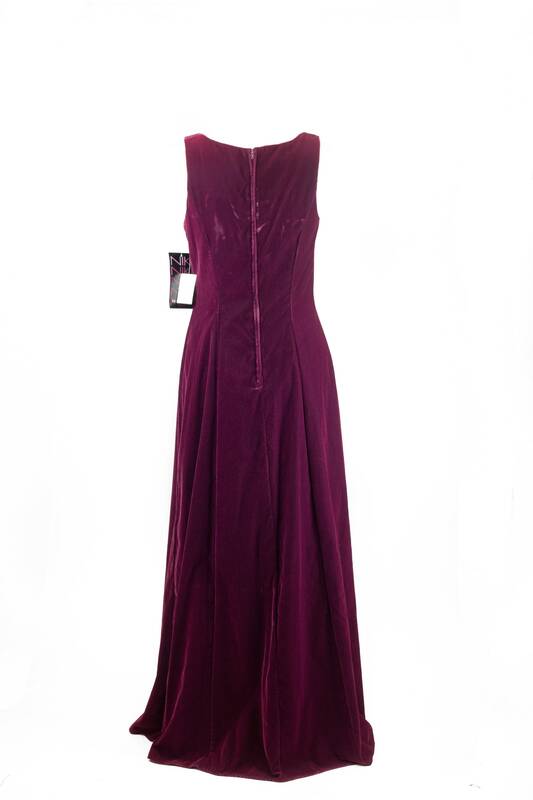 Style with strappy heels for a semi- or formal event, or Prom/Homecoming!